Hamilton’s Fireplace Home and Patio has been in business for over forty years. We carry only high quality fireplace equipment as well as the best in home décor and patio items. Our products are the best on the market. Many of our items are custom designed, one of a kind and made for Hamilton’s exclusively. Some custom, made to order or handmade some items may take up to six weeks to deliver….especially for you. Please plan ahead ! Since our products are specialty and made to order we do not accept returns or give refunds. MEASURE YOUR FIREPLACE VERY CAREFULLY !!! Order items to fit your fireplace opening height, width and depth. Email or call us for any questions you may have about measurements of your fireplace or what you may need. We are the fireplace experts !!! You will LOVE, LOVE, LOVE everything you buy from Hamilton’s Home and Patio. Make your home more enjoyable inside and out. Enjoying the outdoor spaces of your home can bring your family closer. A Hamilton’s “Big Jimmy” or “Little Jimmy” fire pit can be the center of family fun and entertainment. 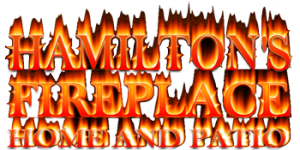 NOW … Welcome to Hamilton’s Fireplace, Home and Patio – ONLINE !!! For over 40 years, Hamilton’s has served Memphis and surrounding states with quality, selection, and service. Order online for some of the most unbelievable products you have ever seen !!!!! Products listed online are not available in our retail store. Make your home a showplace with Hamilton’s Fireplace Home and Patio ONLINE !!!! Make your home and your outdoor spaces so enjoyable that you feel like you are on a vacation every single day….and it can happen with Hamilton’s Fireplace Home and Patio Online. Quit spending your money on one week, quick, getaway vacations ! Buy a cord of wood and fire up a “Big or Little Jimmy” outdoor fire pit and sit around and get to know your family again. In the winter have you some nice heavy wood burning grates, heavy fireplace tools and a beautiful, heavy fireplace screen….burn some wood, burn some gas logs…sit around and get closer to your family. Roast some marsh mellows! You don’t have to run out and waste your time and money. Enjoy your home spaces !!! RELAX with products from Hamilton’s Fireplace Home and Patio. As a family owned and operated store, Hamilton’s can give you the personal attention you deserve. Whether you need gas logs or are burning wood, Hamilton’s supplies all of your fireplace needs. With over 300 outdoor patio sets and umbrellas on display, Hamilton’s offers the largest selection of outdoor/casual furnishings and fireplace furnishings and accessories available in the United States. Please stop by to see our huge showroom. We are the largest Fireplace and Patio Furniture Showroom in the United States. Our spacious 60,000 square foot showroom with two levels of Patio Furniture, Grills, and Fireplace Accessories is located at 4462 Summer Avenue Memphis, Tennessee, at the corner of Summer Avenue and Berclair. Home of the King of Rock & Roll! For over 40 years, Hamilton’s has served Memphis and surrounding states with quality, selection, and service. We are the best at what we do.